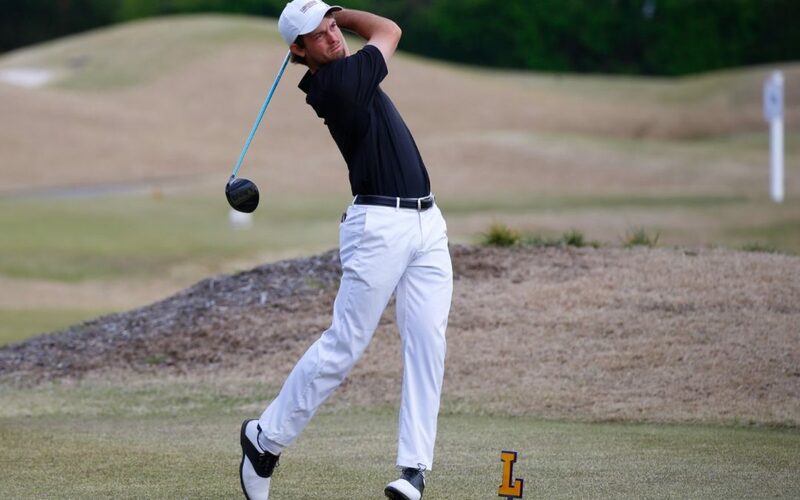 Lipscomb Golf’s Dawson Armstrong set a course record in his last round of the Ryman Hospitality Intercollegiate on Tuesday in a tie for first place. Armstrong shot a record-low 63 strokes in the third round, or 8-under-par, pushing him to tie Rice’s Mitchell Meissner. Both Armstrong and Meissner finished 5-under-par on the tournament. Coming into the third round, Armstrong was 4-over after shooting 70 and 75. He shot 5-over-par on the 13th hole in the second round. Finishing the hole in nine strokes made for his worst score on a hole in his college career. Armstrong may have set a record, but it wasn’t enough to push his team over the edge against the winning Rice Owls. Lipscomb finished 13-over and 5 shots behind the Owls. Senior Eric Ansett led the Bisons at an even-par going into the third round of the two-day tournament. In the last round, Ansett bogeyed five holes and double-bogeyed holes nine and 16. He tied for 17th, finishing 8-over. While the Bisons weren’t able to come out on top, they did enjoy playing at a familiar course. The tournament was held at Richland Country Club in Nashville, Tennessee and served as the location for Lipscomb’s lone home tournament. Lipscomb will play in the Old Waverly Collegiate Championship in West Point, Mississippi on Monday.